Through sharing the stories of successful Asian-American founders, operators, and investors, our mission is to inspire others to discover their Secret Sauce and take a leap of faith from traditional career paths. Elton and Wilson were both born in the same hospital two days apart (May 12 and May 10 for b-day gifts) in Southern California. They have been fortunate enough to have lived and worked in LA, NY, SF, and have explored hidden foods in hole-in-the-wall restaurants and breath-taking rooftops in each major city. Most recently, they traveled to Southeast Asia (Thailand & Vietnam), the home of Fish Sauce. They both grew up eating fish sauce in every meal. 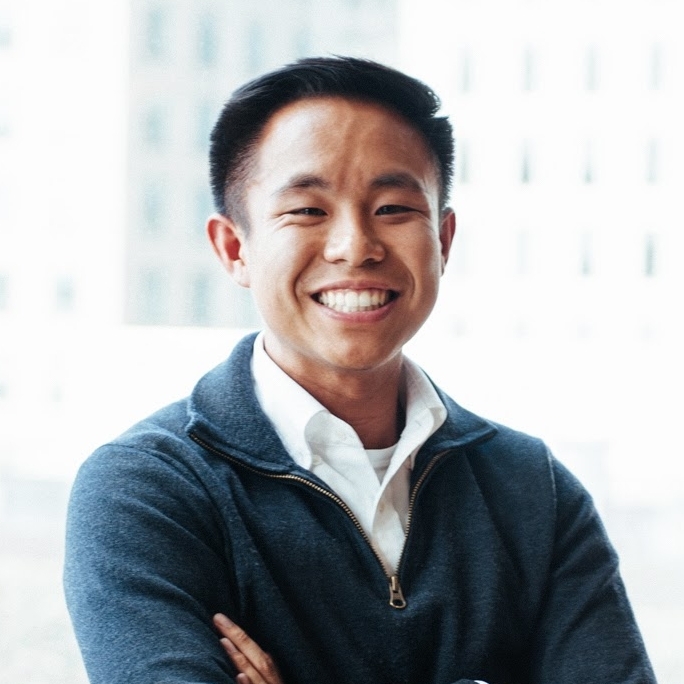 Elton started in one of the world's largest banks, helping manage and grow the business for some of the wealthiest individuals in the U.S. Now, he's leading the SF business for a startup focused on helping members make a life, not just a living. His secret sauce is his indirect ability to create an environment where people love to laugh together, sometimes with him ... or at him. Wilson started in big tech and leaped into smaller tech after growing tired of the tape. Now, he's sharing his passion for startups, venture, and food in the Boston area with his section-mates at business school. His secret sauce is his uncontrollable laughter that usually has a warming effect. Christian used to live in San Francisco and work in finance. Now he lives in New Orleans and works in a restaurant. In between he left his job, backpacked Guatemala and spent a summer road-tripping the States. His secret sauce is an unwavering belief in the inherent goodness of humankind. Patricia started in consulting, fell in love with data, and quickly made the jump to a start-up focused on machine learning in emerging markets. She is now tackling growth analytics and product challenges at a last-mile logistics start-up. Her secret sauce is staying curious, humble, and reflective.